Product code: ES6529 Categories: Sold Items, Sold earrings. Here are a spectacular and so elegant pair of antique emerald earrings dating from the mid-Victorian period of the 1860’s that will make any woman feel like a Princess. With exquisite detail, the earrings are made in 15ct gold and are each set with three natural emeralds. However like so many fine antique earrings, it is not just the emeralds that make the earrings, it is the design as well. With so much detail to captivate the eye, the earrings are also set at the bottom with three sections that delicately sway with the movement of the head. From the top of the shepherd hook to the bottom, this distance measures an elegant 51mm by 17.4mm at its widest section. 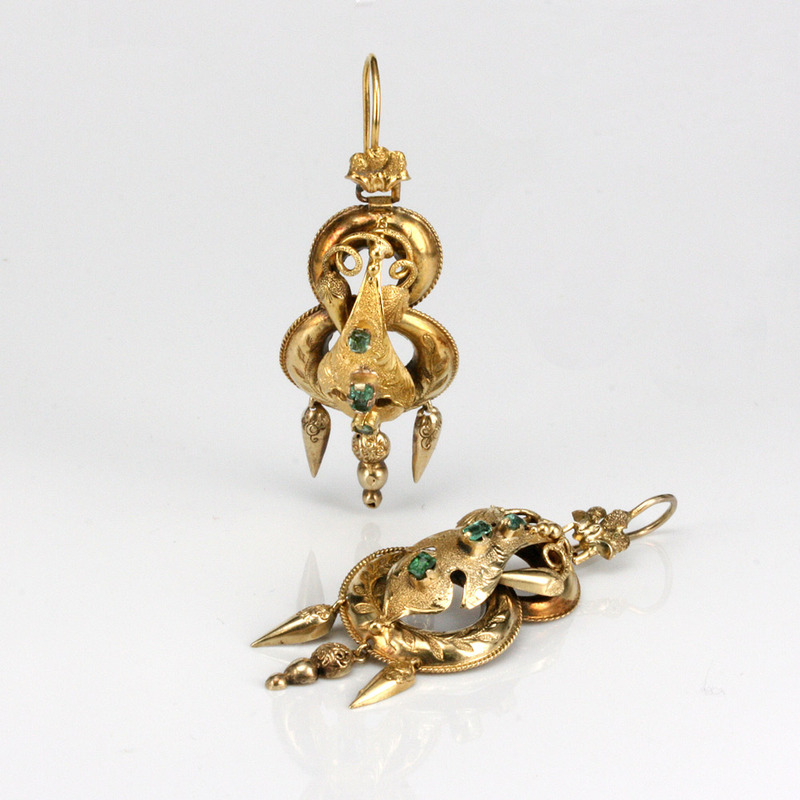 With the emeralds matching so well with the rich colour of the gold, to the design, this Mid-Victorian earrings are nothing short of spectacular and are sure to always be admired for their beauty and elegance.